This bolt head of these Mr Gasket 3420G header bolts incorporates a combination hex and socket design for quick, easy installation and removal. The compact bolt head and flange is ideal for use where space is minimal, typical on header flange. 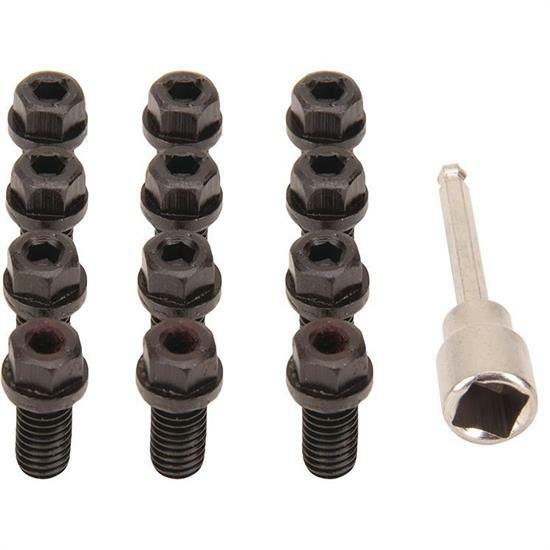 Black zinc bolts resist corrosion and provide a clean professional appearance. Fits AMC 290-401, small block Chevy 262-400, big block Chrysler 383-400 (exc. 426 Hemi), Pontiac 326-455, and Oldsmobile 330-455. 3/8"-16 x 3/4" threads. Includes 12 header bolts per set. Socket is included.